Abstract artwork, contemporary painting, acrylic on gallery canvas. 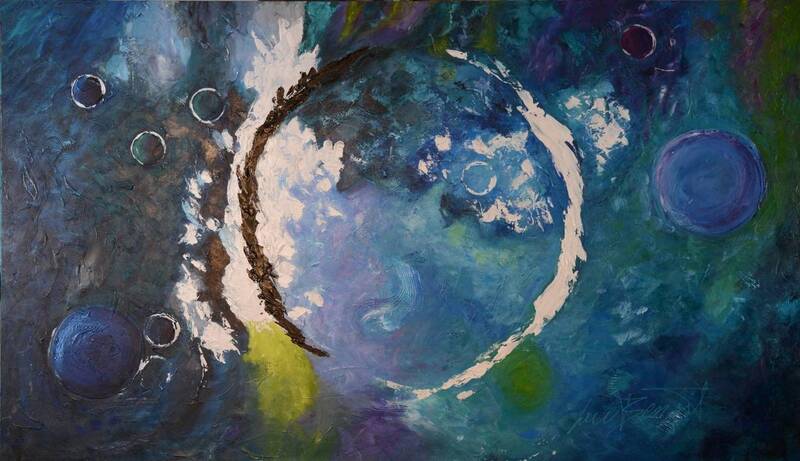 "Yin Yang" depicting the constant struglle between light and darkness, good vs eveil within the universe itself. Series of celestial bodies or planets aligned displayed on a dark blue to turquoise background with accents of ligth greens, magenta, black and white. Are we all subject to these forces in place " the Yin and the Yang" even the astral forces within our universe ? Princing subject to changes for any International delivery.